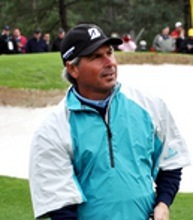 Amateur golfers, watch Fred Couples grip the club… and take heart. The 1992 Masters winner may have the game’s sweetest swing, but his grip is another matter entirely. Calling Couples’ grip unorthodox is like calling Mt. Everest a big hill. At address, his left hand is turned well to the right on top of the handle, creating a large “cup” in the wrist. In fact, the knuckles on the back of Couples’ left hand point well in front of him. 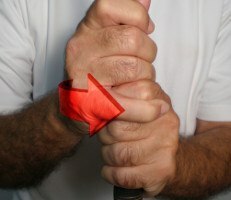 Contrast this with a conventional neutral grip, where the knuckles face the target (or point slightly right). Couples’ right hand is in a strong position as well. 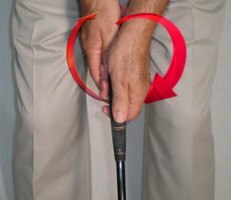 While many teachers advocate a moderately strong grip to their students, few if any would advise a golfer to hold the club like “Boom Boom.” However, there is one thing worth emulating – Couples’ grip pressure. It’s extremely light, which promotes a smoother rhythm throughout the swing. Does Fred Couples grip the putter with a similarly unusual style? Not quite. But he does go unconventional with his actual putter, a belly model, and a cross-handed grip. While he’s missed his share of short putts over the years, Freddie has been known to drain a lot of long ones, too. As of this writing, he ranked seventh on the 2014 Champions Tour in putting average, so he’s clearly doing something right. Remember, too, that Couples suffers from chronic back issues. 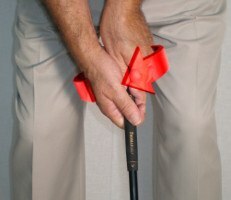 With the belly putter, he doesn’t have to bend over as much at address. It will be interesting to see how he adjusts when the USGA ban on anchored putting goes into effect in 2016.